Justin Trudeau is one of Canada’s promising politician. Born on December 25, 1971 to the prominent politician and 15th Prime Minister of Canada, Pierre Trudeau, Justin had to work really hard to make his name in politics. 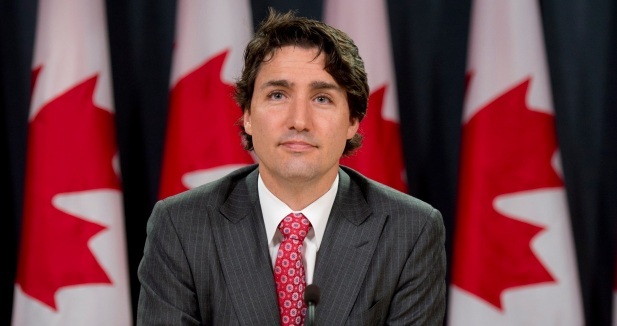 Currently, Justin Trudeau is running for prime minister for the elections scheduled on October 2015. Generally, if one of the parents, or other family member, had entered into politics then the subsequent interest of the youngster of the same family is something expected. The politics is then deemed to be family’s legacy rather a passion to serve the country. However, that’s not the case for Justin Trudeau. Raised by a single parent, his father, after his parents went through a divorce, young Justin had other things planned for himself. For Justin, entering politics was not his first choice. He earned a B.A. in English from McGill University after which he earned a degree in education, B. Ed., from University of British Columbia. Justin pursued a career in teaching and was happily involved in teaching French at high school and Math at elementary school in Vancouver. As Justin reminisced, he was contented that he was bringing a change in his country as a teacher. On note to his private life, Justin got married to Sophie Grégoire in 2005. He is happily married with three children, Xavier, Ella-Grace, and Hadrien. In 2013, Justin Trudeau became the leader of the Liberty Party –his father was the member of the same party –and has made engaging with the Canadians his top priority. In an interview, Justin had remarked that he felt fortunate while connecting with the youth of the country. For him, being a politician doesn’t mean a competition with the rival party but it is the maintenance with the people of the country –listening and acknowledging their problems and coming up with a proper solution. Justin feels that politician shall not be ‘someone they read about in high school text books’ for the youngsters however, there should be a two way communication of the people with their leader. Justin has to work really hard to get ahead in politics. Since his father was a prominent person, Justin will always have the weight and pressure of his father’s legacy on his shoulders. In his father’s lifetime Justin was not actively involved in politics. In 2000s, after the death of his father Justin became actively involved in the affairs of the party. In 2008, after Conservative Party election win, Justin entered the parliament house as a member of the Official Opposition. In 2010, he was assigned as critic for youth, citizenship, and immigration. He worked for the quick immigration of the Haitian, after the earthquake hit Haiti in 2010, and encouraged Canada’s relief efforts for the Haitian. In 2013, after being elected as the party’s leader, Justin worked hard on designing policies for making the Canadians, especially middle class, have freedom, security, and lots of opportunities. Justin has a clear plan about how he would work on climate change affecting the country, the anti-terrorism laws, the tax slabs and so on. Justin is working hard to build the trust of the Canadians for the party and party’s policies and vision. He also brought up the controversial issue of legalizing pot and marijuana to denounce the black market. The time will tell whether Justin will be the next prime minister of Canada or not. Till then, Justin will keep on thriving for achieving his ultimate goal. May Canada have dedicated and passion leaders like Justin for a long time!